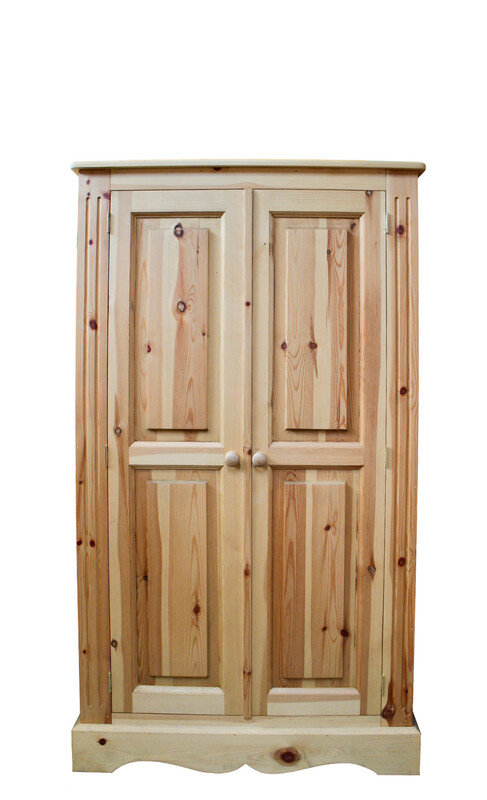 Wardrobes fit for all your clothes and more! 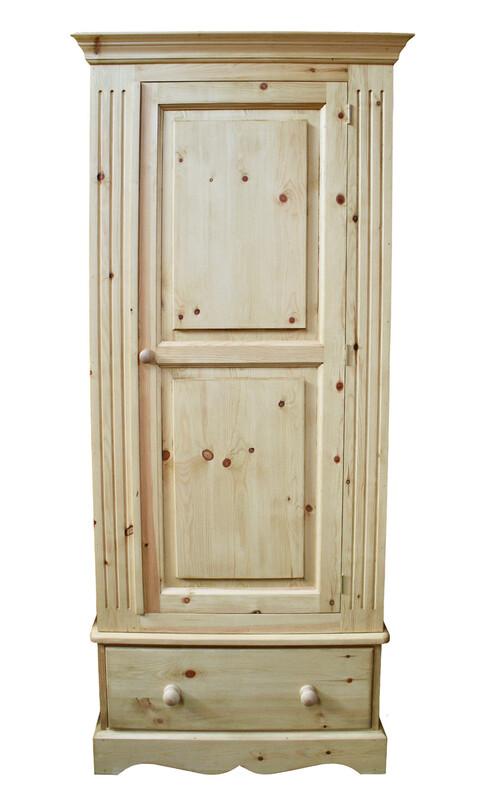 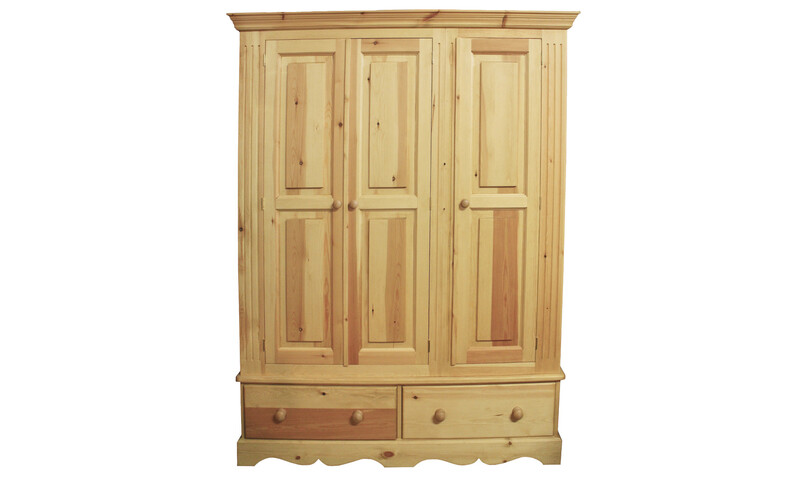 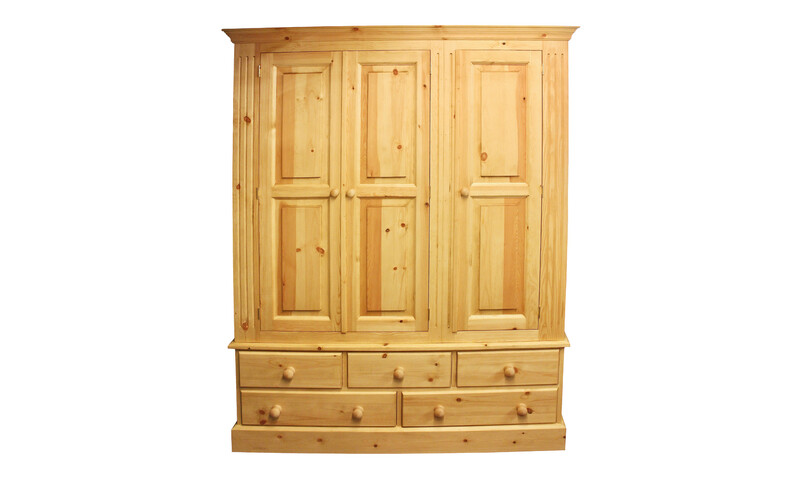 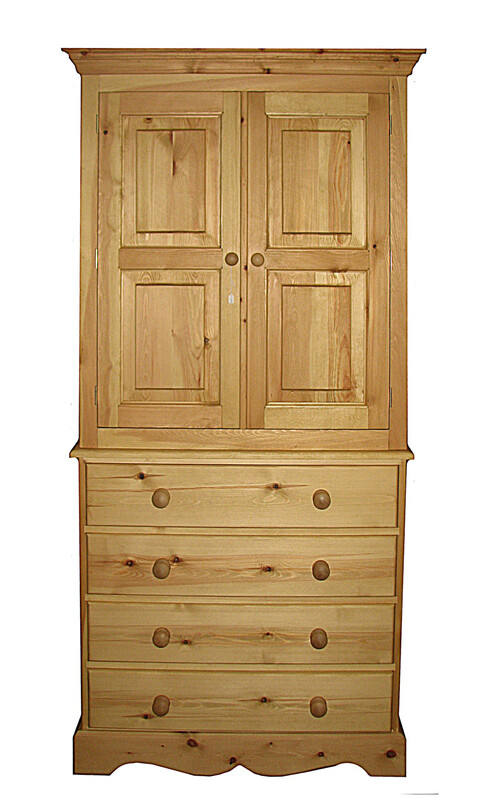 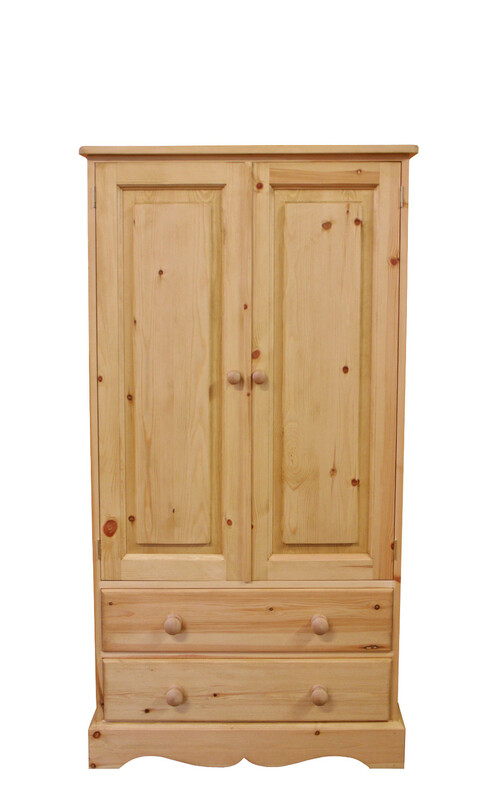 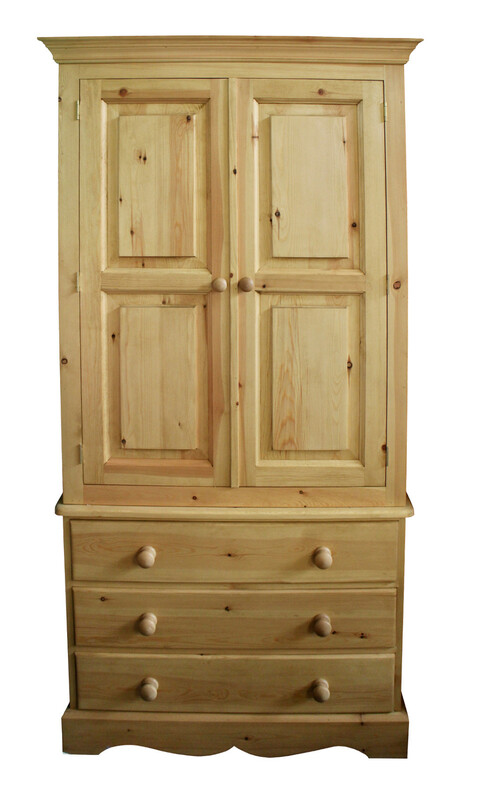 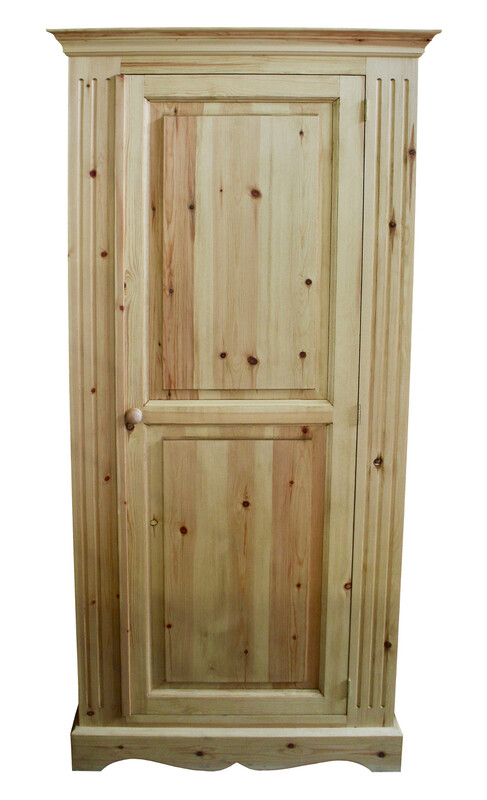 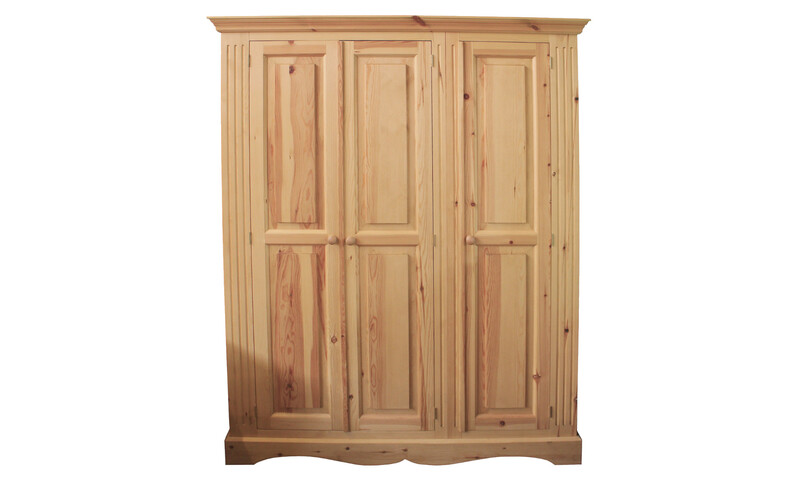 We can offer a great number of wardrobe options for your home here at Kerri’s farmhouse pine. 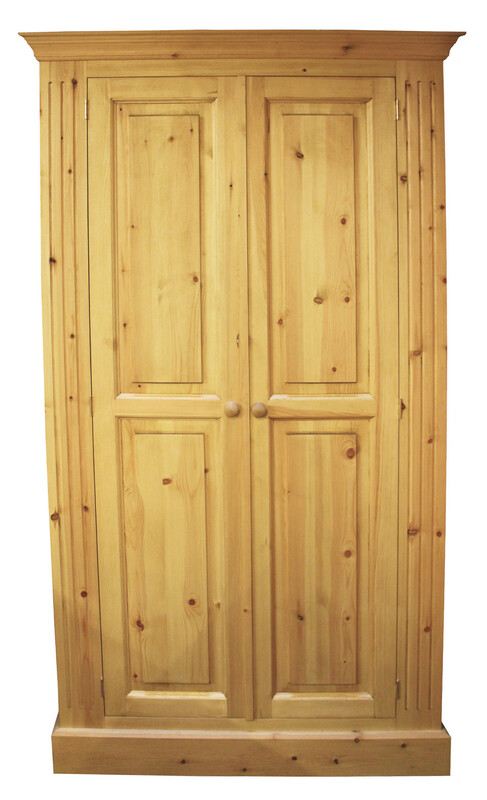 If you are looking for a small wardrobe for a snug space or a large wardrobe for an ample space we are sure to have something to fit. 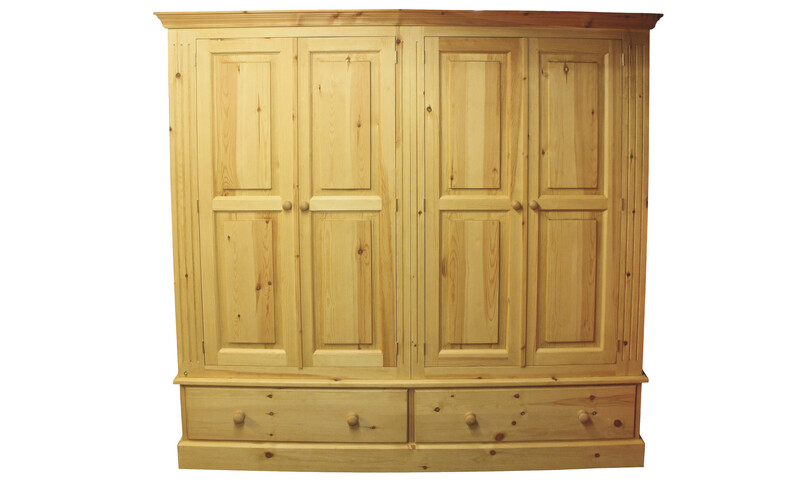 We’ve got single wardrobes with shelves and triple door wardrobes with drawers, so many choices to help you organise your space your way, all made here at Kerri’s farmhouse pine in Norfolk. 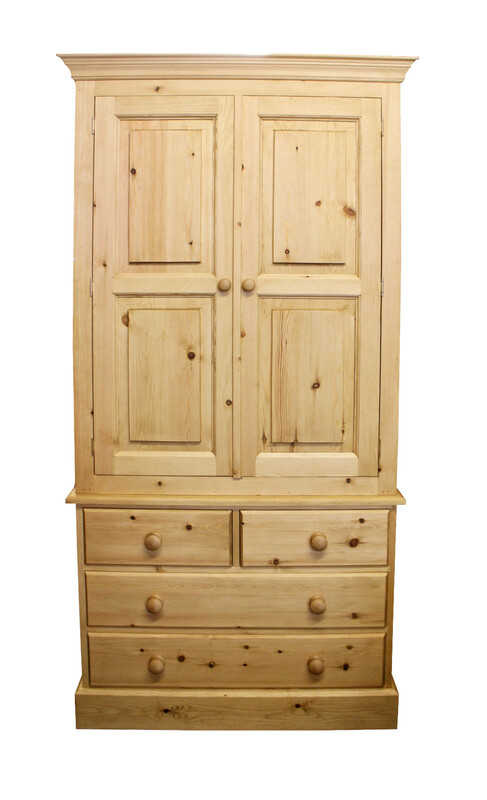 If the wardrobe you like is not quite the right size please ask as we may be able to alter the width to fit. 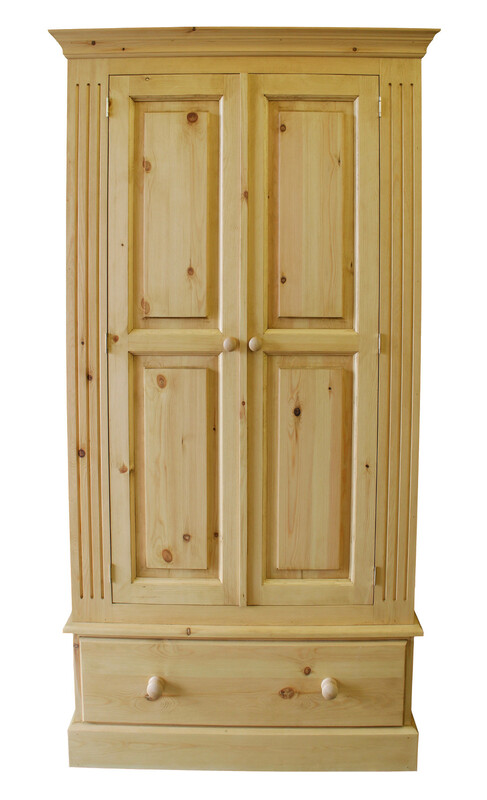 All of our furniture have a number of different styles and finishes available, please check the Styling and Finishes pages for more details. 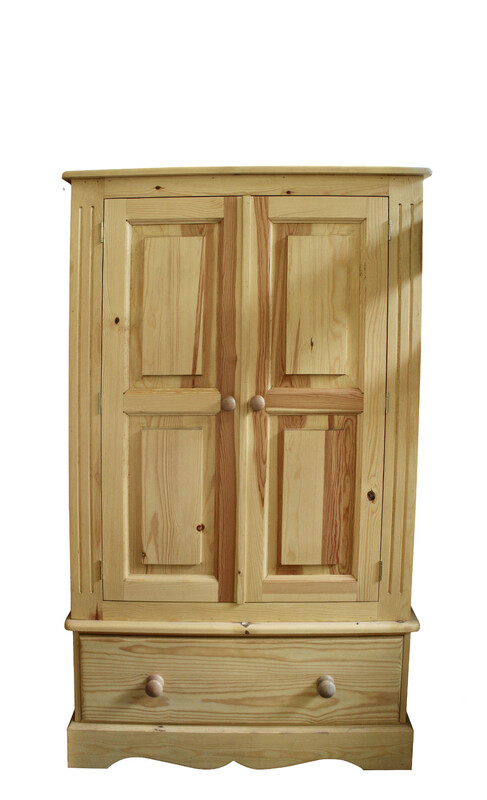 We have shown a number of different styles on this page. 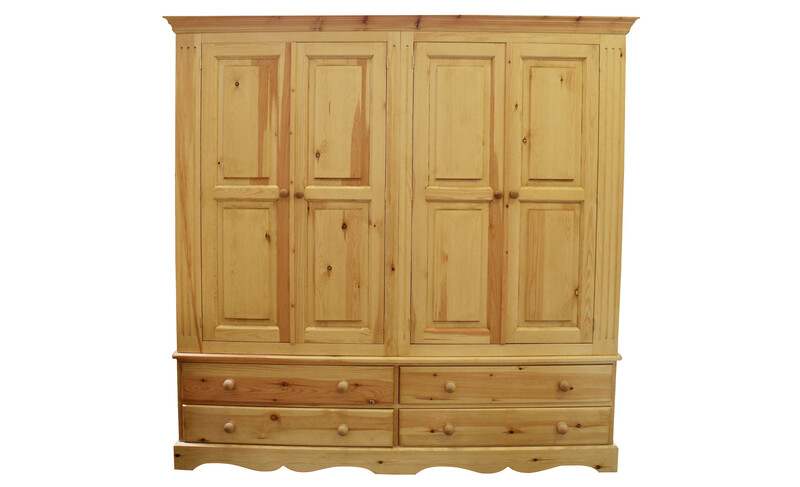 PLEASE NOTE THAT ALL THE DIMENSIONS GIVEN ARE THE MAXIMUM FULL WIDTH MEASUREMENT, WHICH IS AT THE TOP OF THE PIECE FURNITURE.